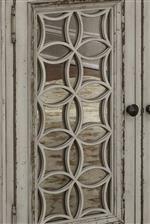 This elegant piece adds exquisite style to your traditional home. Featuring a fully finished dovetail drawer with metal side glides and a bottom shelf for extended storage, the table showcases a round top with elegant accents and tall turned legs. 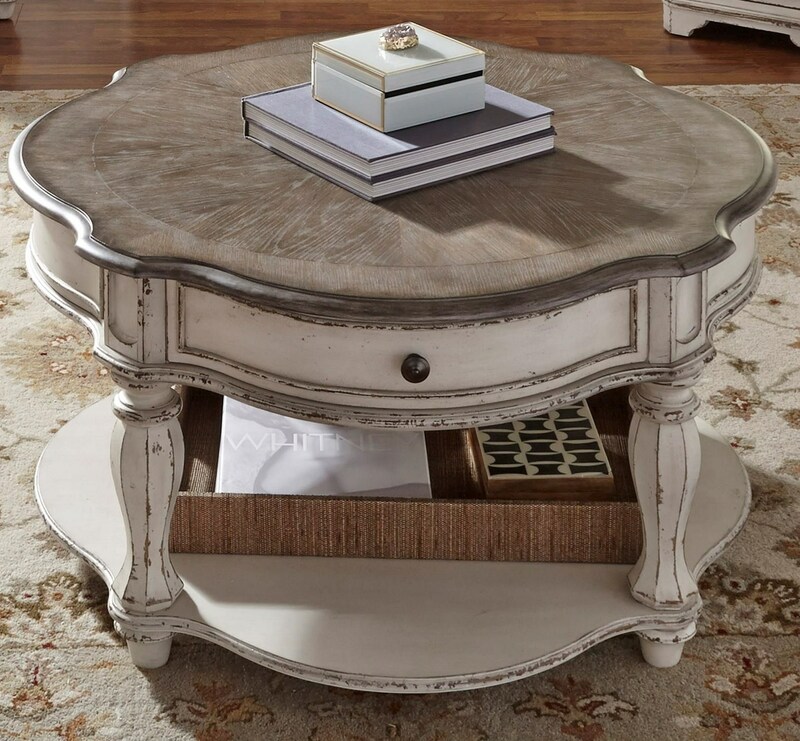 Completed with an antique white finish and bottom casters, this table will transform your living room setting. The Magnolia Manor Round Cocktail Table with Casters by Liberty Furniture at Zak's Home in the Tri-Cities, Johnson City, Tennessee area. Product availability may vary. Contact us for the most current availability on this product.